I enjoy mysteries best when there are elements of suspense and romance. This story fitted the bill excellently. 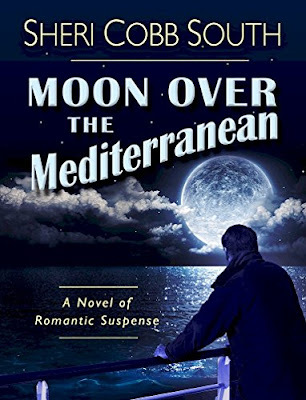 In 'Moon Over the Mediterranean' I loved the mystery, the characters and the old, vintage feel to the story. I loved the fact that it took place on a cruise in the Mediterranean. The descriptions of the locations made me feel like I was on holidays with the character sand I would like to take this book with me the next time I am on holidays there. Reading a story set in the 60's is something new for me but I would definitely read more if the author were to continue with this theme.